THURSDAY, Dec. 11, 2014 (HealthDay News) -- Toddlers who share a bed with their parents may have an increased risk of developing asthma later in childhood, a new study finds. The study included more than 6,100 mothers in the Netherlands who provided information about wheezing and asthma symptoms in their children every year between ages 1 and 6. Children who shared a bed with their parents during infancy (2 months old) did not have an increased risk of developing asthma by the time they were 6 years old. However, children who shared a bed with their parents when they were toddlers (age 24 months) were more likely to have wheezing later at ages 3 years to 6 years, and of being diagnosed with asthma by age 6 years. The study appears online Dec. 11 in the European Respiratory Journal. "The current study shows that there is an association between toddlers who share a bed with their parents at the age of 2 years and wheezing and asthma in later childhood," study author Dr. Maartje Luijk, of Erasmus University Rotterdam in the Netherlands, said in a journal news release. "We postulated that the finding may be explained by parents taking the decision to share a bed with their toddler to monitor their asthma symptoms. 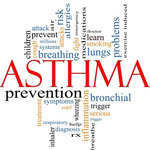 However, our results found no associations between pre-existing asthma symptoms in the first two years of life and bed-sharing at the age of 2 years," she said. "This could suggest that bed-sharing increases the risk of asthma in some way, but this study does not provide causal evidence of this. There could be a number of factors at play here. For example, bed-sharing families might be more likely to report wheezing because they are more attentive or aware of their children's breathing," Luijk suggested. "Alternatively, families might perceive wheezing as problematic and as something that could lead to sleep problems, which might in turn elicit bed-sharing to better monitor these problems. More research is needed to identify the factors that may impact on the development of asthma through bed-sharing," she concluded.